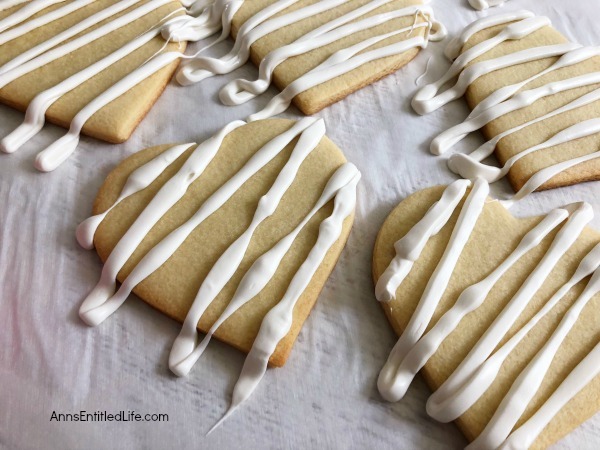 These from-scratch cutout cookies are a great cookie recipe for any occasion. 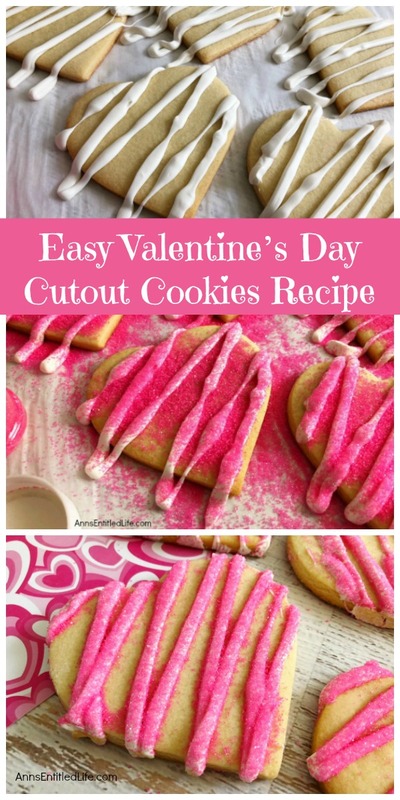 Fun to decorate, these easy to make cutout cookies also taste great unfrosted. Yummy, delicious cookies that are a family favorite. 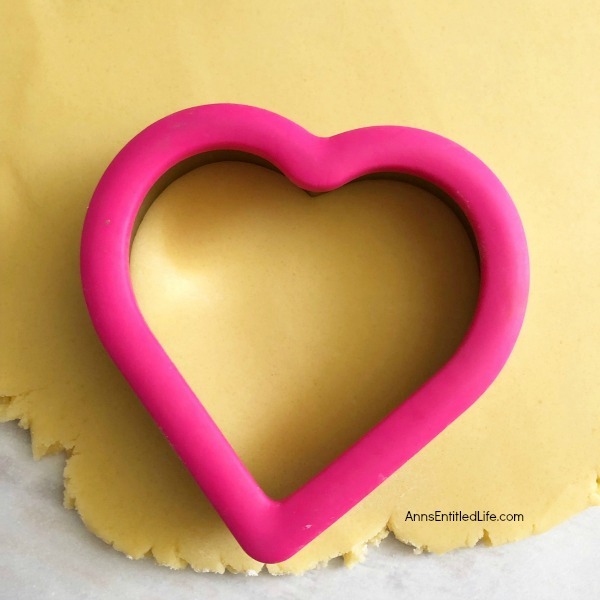 • If you are interested in a great American made cookie cutter, check out this article! I just love Ann Clark Cookie Cutters! I now have a few bins full (truly). • Load your piping bag into a glass, pointy side down. Fold the edges over the glass. Now fill with your melted white chocolate via a spoon. Snip the bottom (if using disposable), and you can use your candy piping bag to decorate. Remember, you cannot reheat candy in a piping bag, so work with small amounts! 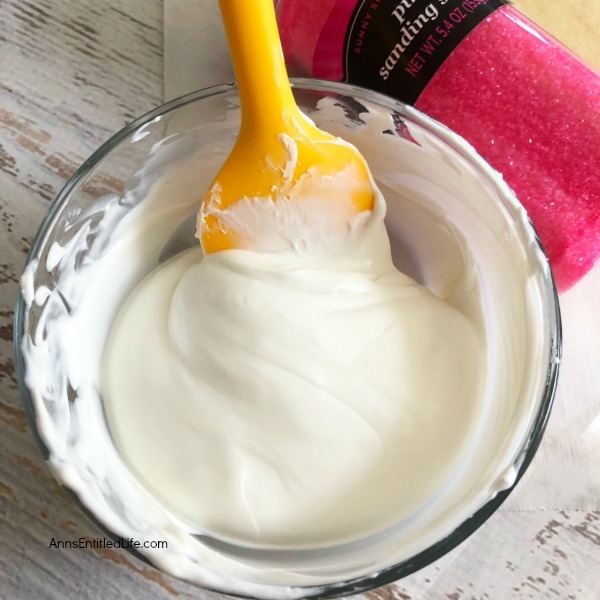 • You can omit the white chocolate candy melts, and instead use this fantastic classic buttercream frosting recipe. 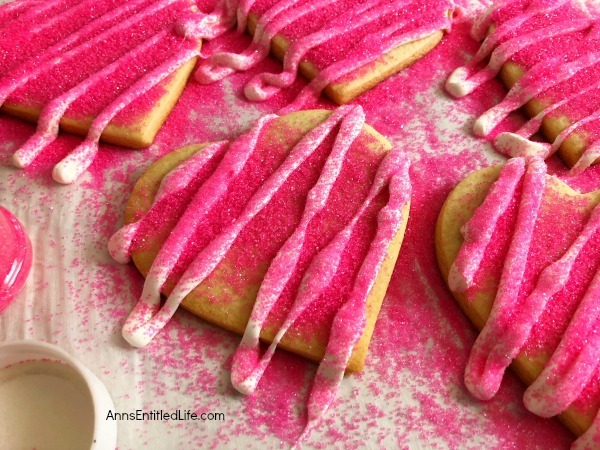 Leave it white and decorate with sugar sprinkles, or add colorant for a colored frosting to match the holiday! • Preheat your oven to 325°. • Line a baking sheet with a piece of parchment paper. 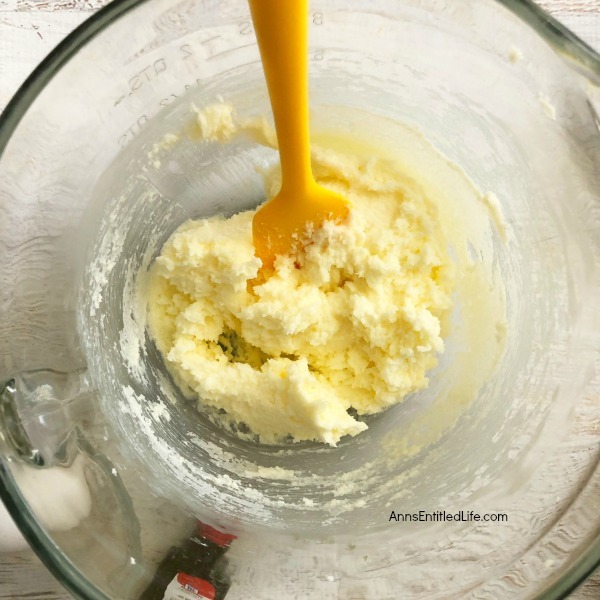 • Using a stand mixer, beat together butter and sugar together until creamy. • Add in almond extract and eggs; mix lightly. 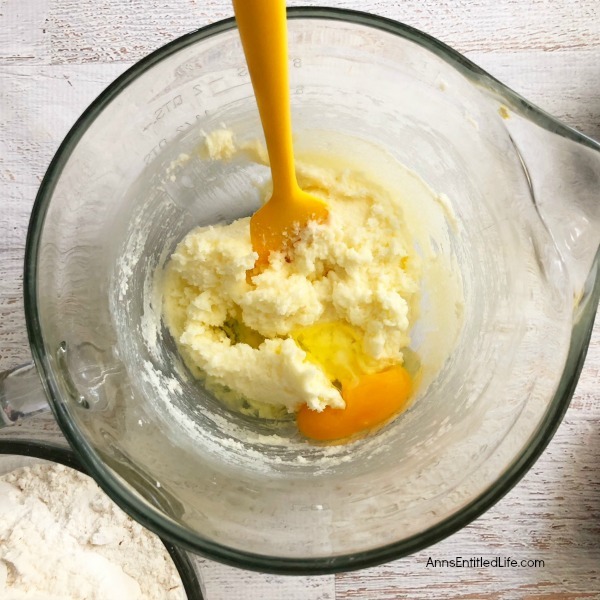 • Slowly add in flour, one cup at a time until well incorporated. 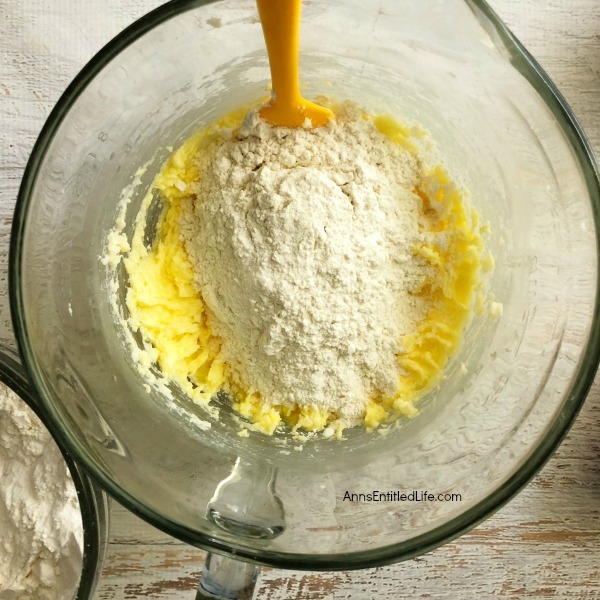 • Knead the dough in your hands until it starts sticking together (add more flour as necessary). 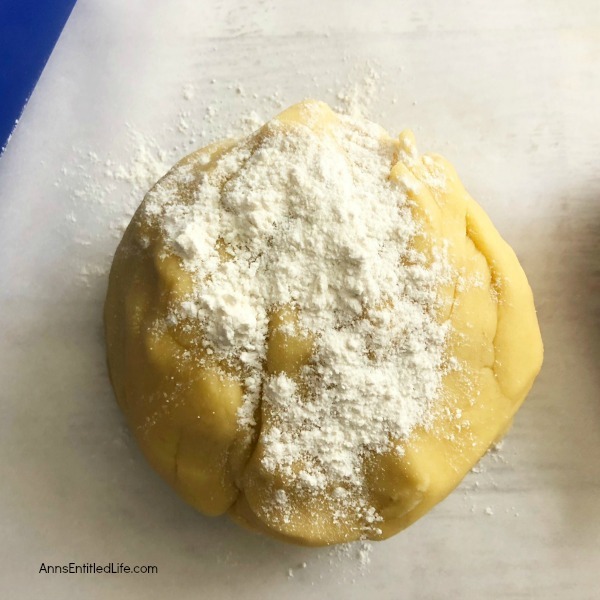 • Roll out the dough out on a clean floured surface and use cookie cutters to cut your shapes out. 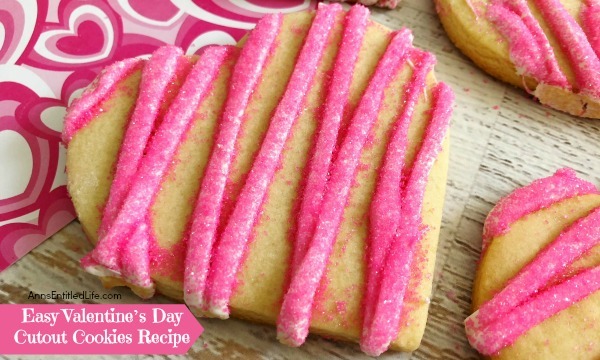 • Carefully place cutout cookies onto prepared baking sheet. • Remove cookies from baking tray onto baking rack to cool. • Place a cup of white chocolate candy melts into a bowl. Heat in the microwave for 30 seconds, stir. Heat in microwave for another 30 seconds; stir. Repeat a third time. Check the consistency of your chocolate. If smooth, do not heat further. If it still does not stir and drip smoothly, heat one more time. 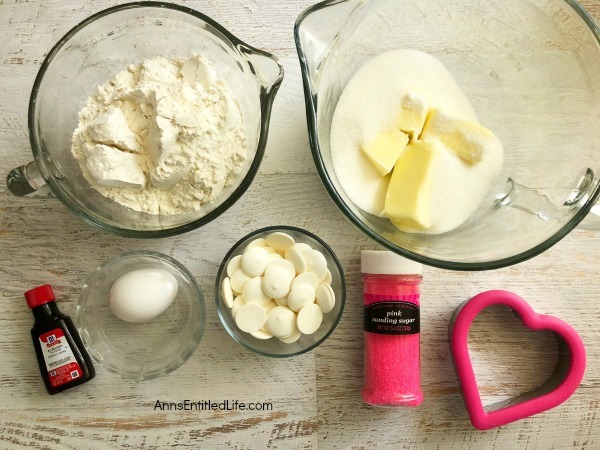 • Drizzle your melted chocolate over your cookies and immediately top with pink sugar sprinkles (while the white chocolate is still wet). • Let your chocolate harden for about 15 minutes and carefully shake off the excess sprinkles. 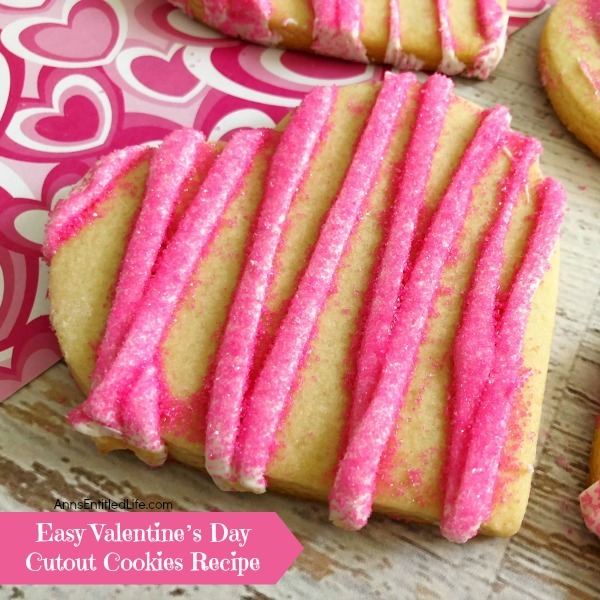 • To print the Easy Cutout Cookies recipe click here. Thank you for sharing at merrymonday I am featuring your post this week. Hope you will link up again!